Type your Interlink tracking number below, get live delivery information with our express tracking system. 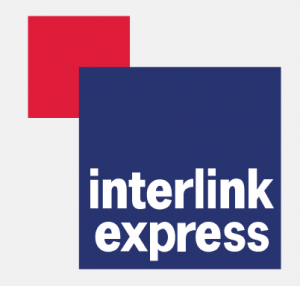 Interlink Express is one of the UK’s leading time critical services carriers and can satisfy all your distribution needs whether your consignments are for the UK or elsewhere in the world. Integrating our own extensive UK network with our unrivalled ground based service to Europe and Air Express service to the rest of the world, we are well placed to provide for all your distribution and logistics requirements. Update: Interlink Express has been named to DPD Local. If you have problem with our express tracking system, please track your package directly on the DPD Local website. If you get no tracking information from DPD Local official website, you’d better contact them. If you have problem with our DPD Local Tracking system, submit your problem here, we will help you as soon as possible. Declare: We can NOT contact carrier or others on your behalf, we can only help you track your package with your Interlink tracking number on official tracking system.